Chocolate is made from cacao beans that were fermented for several days, and then dried out in the sun. The beans are then roasted and winnowed. But to create the chocolate bars sold at supermarkets, the inner nibs of the cacao beans are heated to melt the cocoa butter and then ground to a paste. The paste is called chocolate liquor although it doesn’t have any alcohol content. Surprisingly, the chocolate liquor has fat content. It is usually mixed with an alkali in Dutch processes, but when the alkali is left out, the liquor is made into cocoa powder. To make cocoa powder, a large press extracts all but 10 to 25 percent of the cocoa butter from the chocolate liquor. The remaining cake is then grounded and sifted through fine nylon, silk, or wire mesh. Low fat cocoa contains between 10 to 13 percent fat whereas high fat cocoa contains 15 to 25 percent. Low fat cocoa is usually used for cocoa drinks, and the high fat cocoa is used to flavor desserts. Because of the fat content in chocolate, a whitish gray material will form on its surface when the chocolate has been exposed to warm temperature for too long. 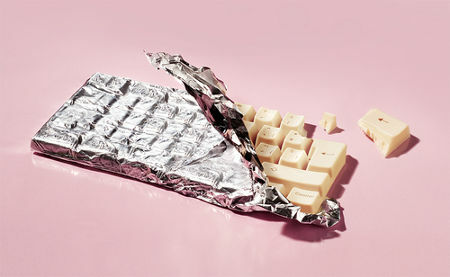 The heat drives the cocoa butter out of the chocolate and forms a white coat on the surface. Another possible cause for chocolate to turn white is either too much humidity or cold temperature. Storing the chocolate in an overly humid storage or a very cold environment like the fridge, and then abruptly exposing it to a much warmer temperature, can produce sugar bloom. 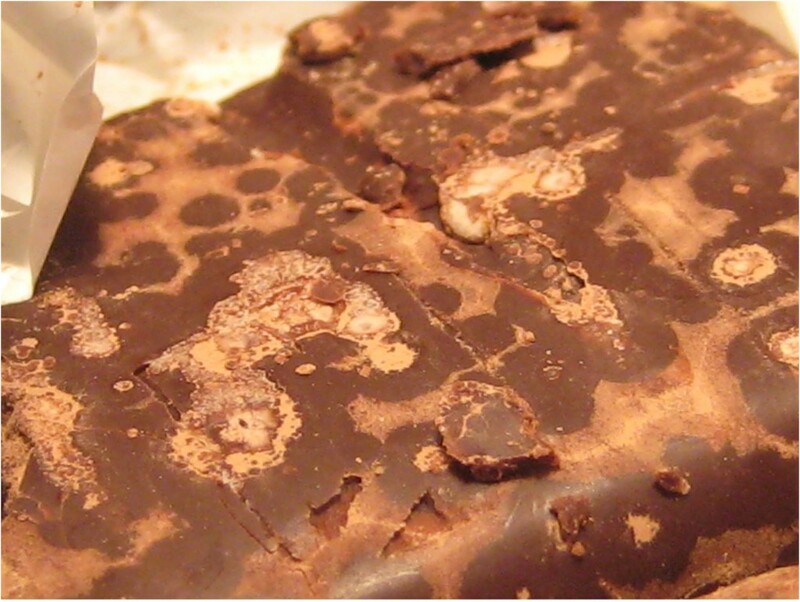 In this case, the surface of the chocolate condenses with moisture. Sugar crystals remain on the surface after the moisture has drawn the sugar out of the chocolate and forms a white coating. Although the chocolate looks unappetizing, it is still okay to eat it as long as it’s pure and not filled. However, the texture may have changed into a bit grainy on the outside. Once the bloomed chocolate has been melted and cooked, it will still be good enough to eat. Fortunately, chocolate that has bloomed is not poisonous. To prevent the chocolate from “blooming,” we must remember to keep it in a cool, dry place, although chocolate should never be placed inside the fridge or the freezer. It shouldn’t also be left in a place that can get hot. Aside from that, chocolate can easily absorb flavors from food or other products situated nearby. Therefore, it should be tightly wrapped and stored away from pungent odors. Storing it in an airtight container is highly recommended. For those who wanted to know, the ideal temperature for storage is somewhere between 65 and 68 degrees Fahrenheit (or 18 to 20 Celsius), with no more than 50 percent to 55 percent relative humidity. If stored properly, you can expect milk chocolate and white chocolate to be good for up to six months. Other types of chocolate can have an even longer shelf life.